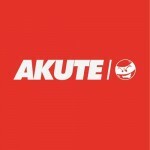 Akute apparel is a company created by two friends with graphic/illustration backgrounds. Built off of their love for all things skate/music/art orientated and the subcultures that surround them, they hope to emulate/surpass the brands they know and love. Both of us had wanted to start a brand for a number of years and after the initial idea, planning and research was started the brand was brought to life in 2014. The idea is to create a sought after brand that is British in design and execution and draws from inspirations that are both home grown and worldwide, thus creating our own niche within the clothing industry. Our goal is to expand Akute to become a household name within the subcultures of the art/clothing/skateboarding community. We aim to keep to our slogan of perspective understanding from the ground up.